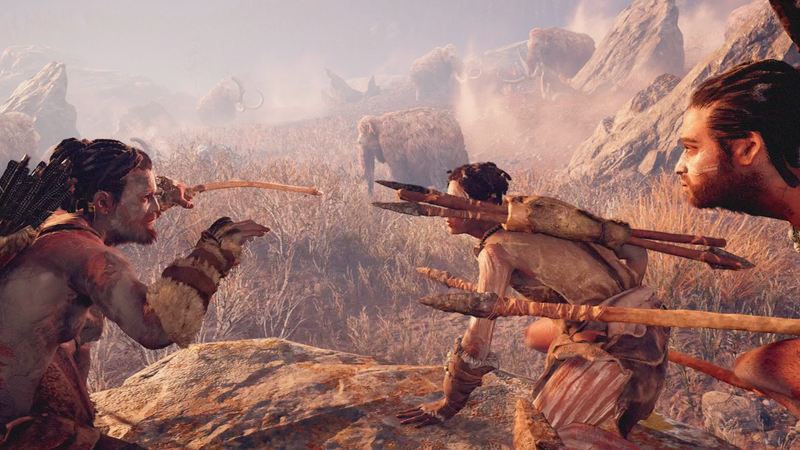 There were no easy opportunities for any of the characters in today’s new Stone Age Far Cry Primal game to overlap with those of 2014's modern-day Far Cry 4, but publisher Ubisoft has found a way to confirm they’re in the same universe. The connection—which isn’t a spoiler for the game, in case you’re wondering—holds up as long as you consider in-character writings on the games’ official websites as official canon. If you think that counts, take a look at this posting on the fictional Cauley Excavation Blog that is on Far Cry Primal’s website and is linked to from inside the game’s main menu. The post says that the made-up journalist Divya Kandala is documenting a dig that presumably will lead to fictional archaeologist Joseph Cauley unearthing the remains of the tribes of Stone Age people we play as and encounter in Primal. The blog post’s reference to Kandala profiling “Kyrati dictator Pagan Min” is a callback to the main bad guy of 2014's Far Cry 4. To promote that game, Ubisoft ran a blog authored by Kandala. She’s proving to be the Far Cry world’s journalist who connects at least the last two major Far Cry games by reporting about the people in them. There could be more overt lore links to other Far Cry games in Primal, but we haven’t found them yet. Far Cry games don’t have obvious connections from sequel to sequel. There are no cliffhangers leading to the next installments as you’d find in Ubisoft’s Assassin’s Creed games, nor do they repeatedly feature key protagonists as Activision’s Call of Duty games do. There are usually subtle connections, though, if you know where to look. For example, Far Cry 4, which is set in a fictional Himalayan country, already connected back to the tropical Pacific-island Far Cry 3 thanks to cameos in each of those games by the character Hurk. Last year, Eurogamer’s Ian Higton showed how all the Far Cry games might be connected to each other. Why stop at stitching Far Crys to each other? Far Cry 3 includes a reference to Assassin’s Creed’s Templar-run quasi-evil corporation Abstergo Industries. Assassin’s Creed IV connects Abstergo to the nefarious Blume corporation from Ubisoft’s Watch Dogs and just seems part of the same world in general. Watch Dogs appears to exist in a world where Assassin’s Creed Revelations is a video game that people play, which kind of works in that Abstergo does, in continuity, make Assassin’s Creed games. Oh, and people in the Assassin’s Creed world play another Ubioft game, Child of Light, or at least try hard to convince other people to.